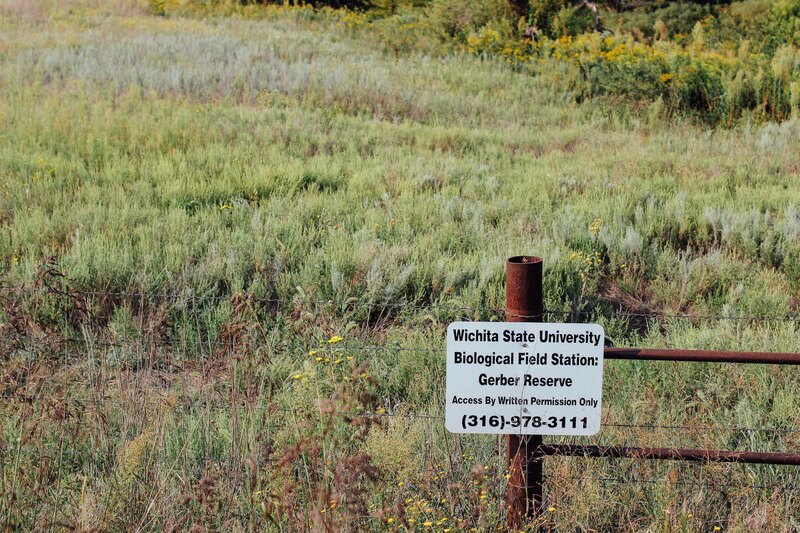 When you think of dung beetles, your first inclination probably isn’t to study them. 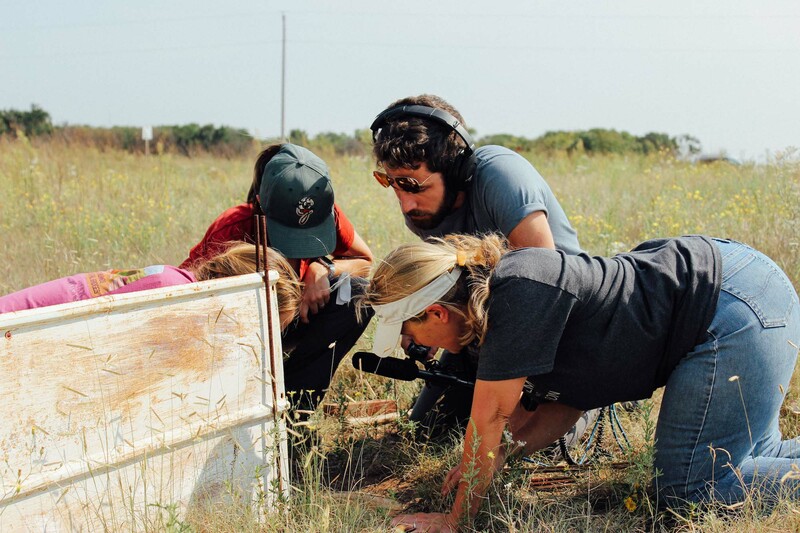 But that’s not the case for graduate researchers Rachel Stone, Emmy Engasser, and their professor Mary Liz Jameson of Wichita State University. 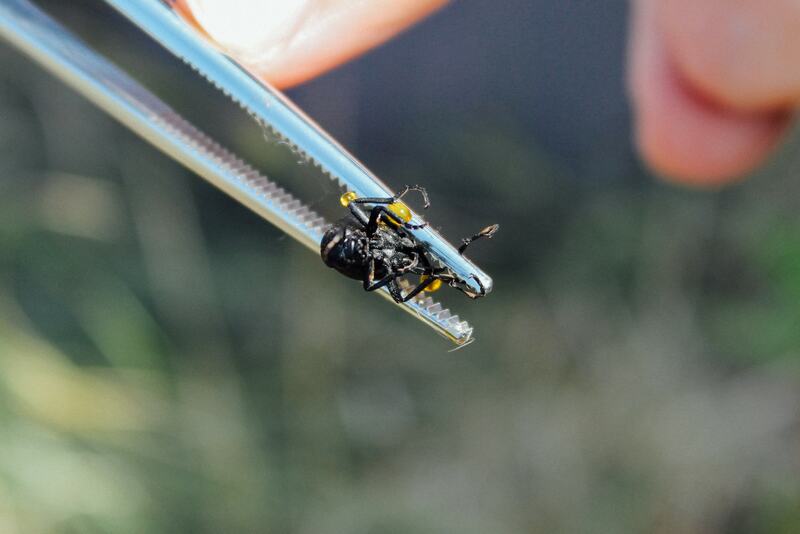 They’re entomologists—specifically, they study beetles, including dung and carrion beetles. 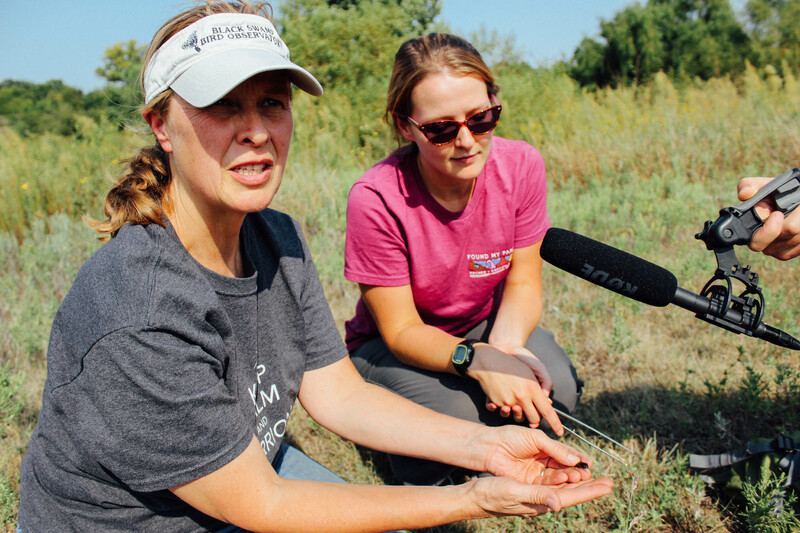 While Science Friday was in Wichita, Kansas for a live show, senior producer Christopher Intagliata and digital producer Daniel Peterschmidt tagged along with the team to visit one of the sites where they collect beetles to study. We recommend you listen to the audio diary below as you scroll through the photos. 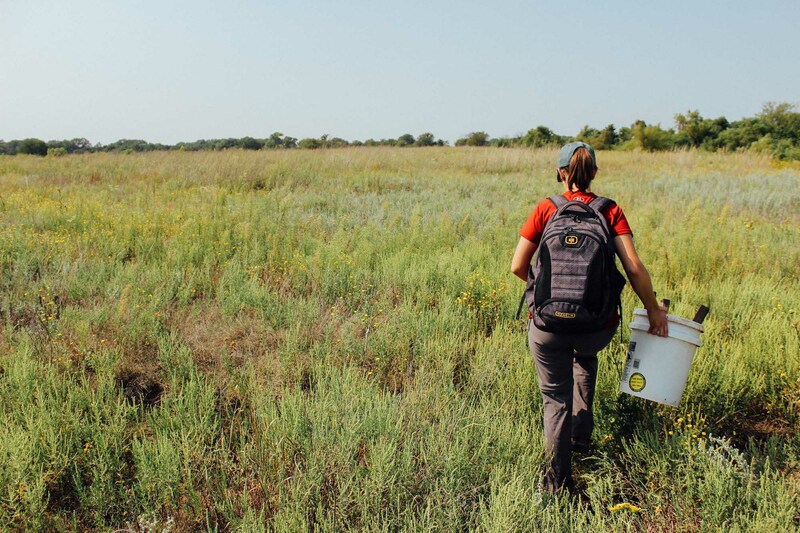 Graduate researcher Emmy Engasser hikes out into the field to examine the dung beetle traps. 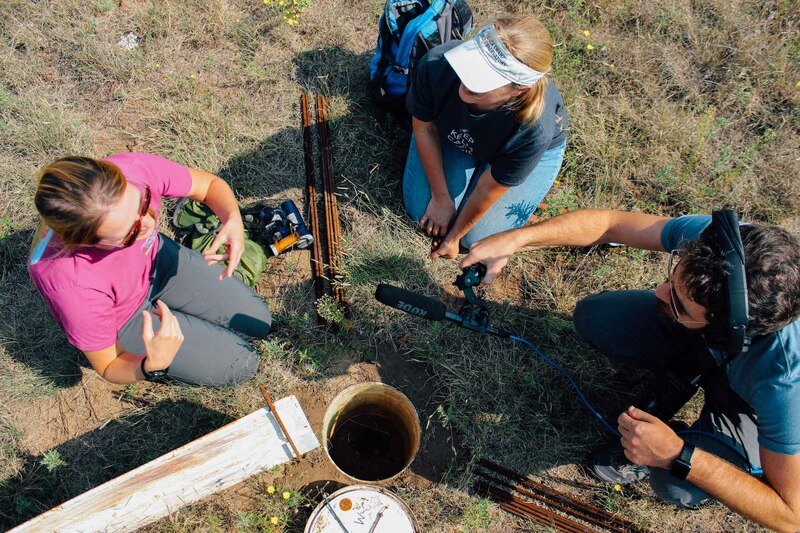 (From left to right): Rachel Stone, professor Mary Liz Jameson, SciFri producer Christopher Intagliata, and Emmy Engasser gather around the first trap, secured by a brick. 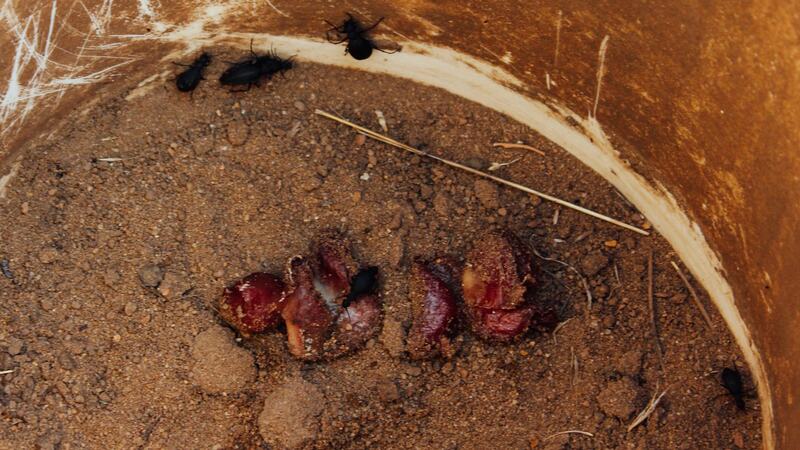 A group of beetles circles rotting gizzards. 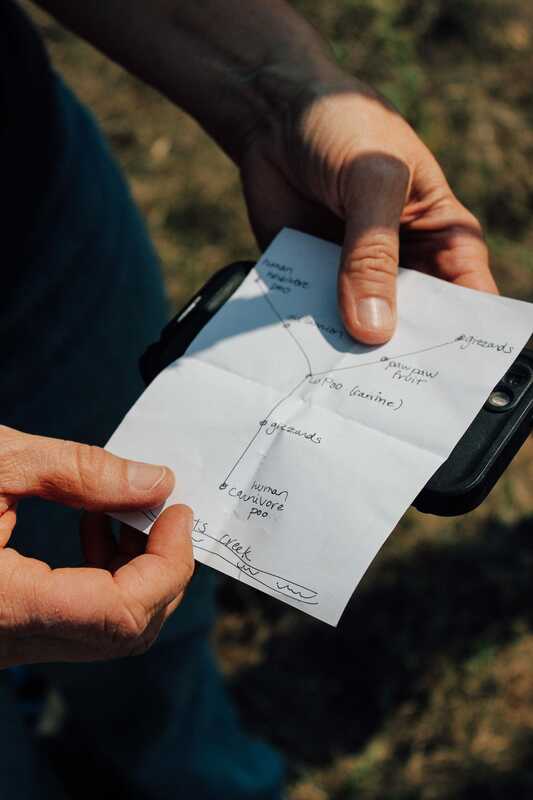 A map of the dung beetle traps...and what kind of poo resides in each one. 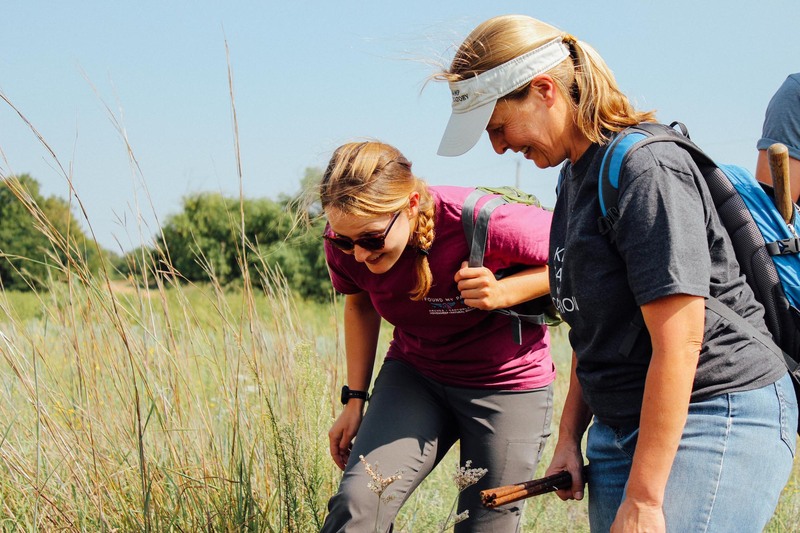 Rachel Stone and Mary Liz Jameson bend down to examine the first dung beetle trap. The beetles are really excited about the dog poo. 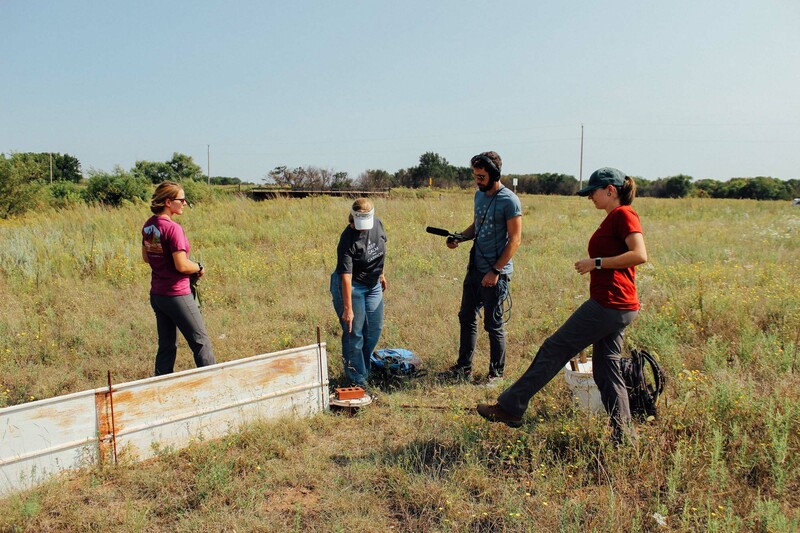 The team gathers round the trap to see what kinds of dung beetle made it in. 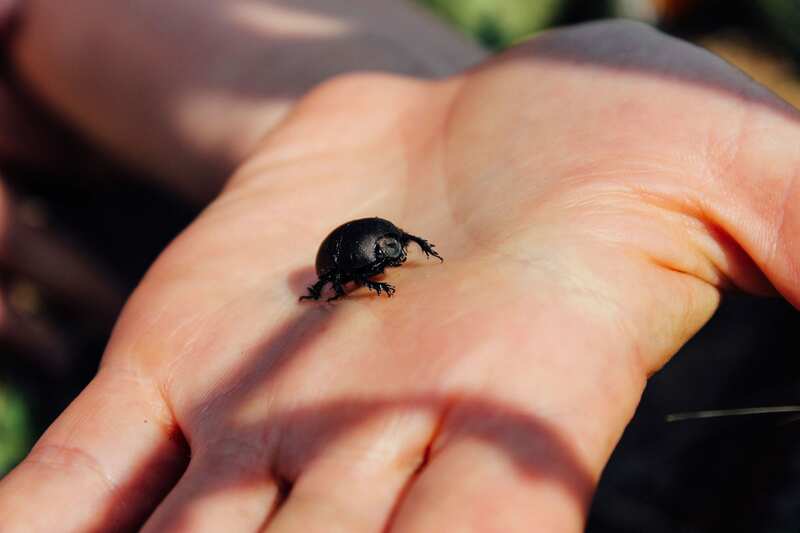 Geotrupes opacus, a dung beetle. Onthophagus hecate, a dung beetle. The Meloid beetle secreting cantharidin (where it gets its common name, blister beetle, from) from its joints. It is an herbivore and not a taxon of interest. 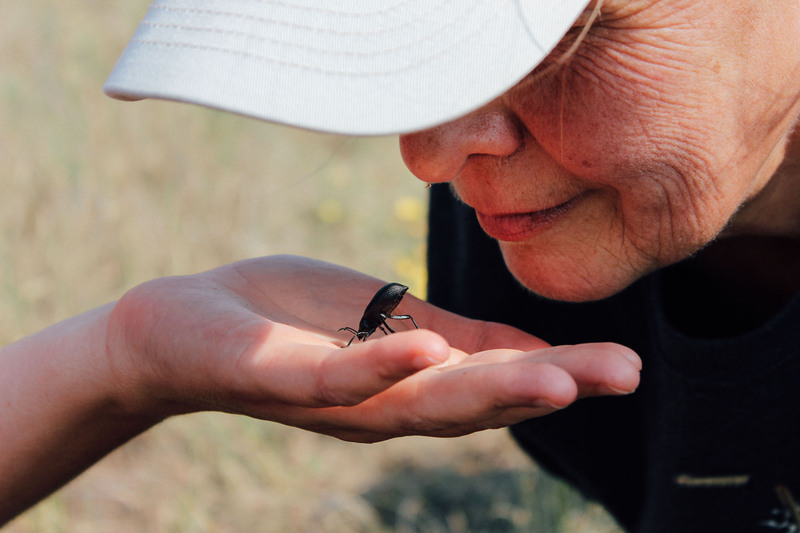 Mary Liz Jameson sniffs the business end of the Eleodes spp. 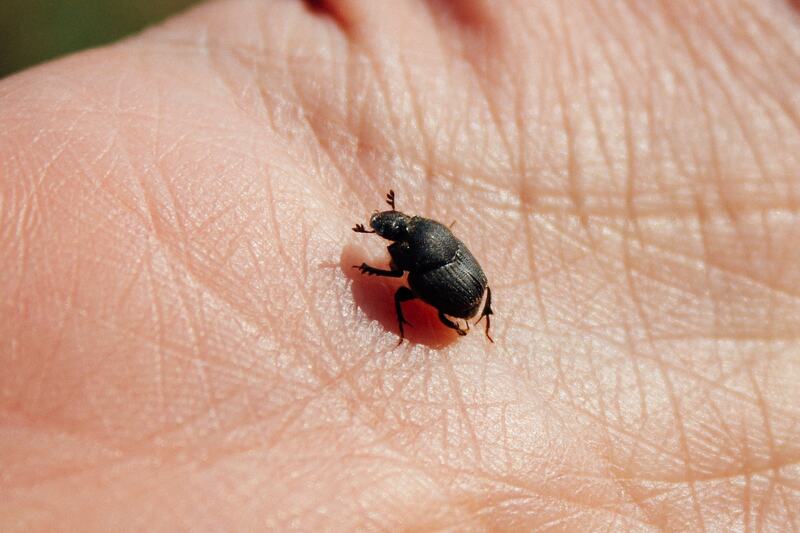 (stink beetle), which demonstrates its odoriferous chemical defense.